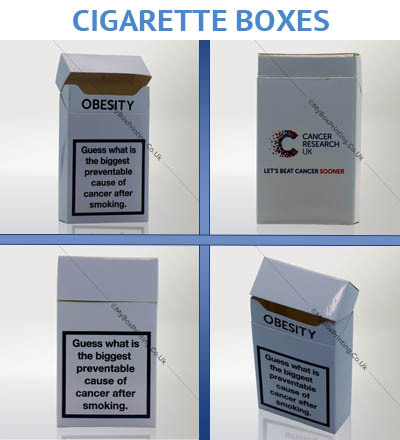 My Box Printing is one of the trusted suppliers of custom cigarette packaging boxes in UK & Europe. You provide us graphics, theme or any other dimensions and we will take on from there. Whether you are producers of cigars, pipes, cigarettes, we can supply approved generic, standardised, homogeneous, plain packaging or custom designed boxes. It can have health warning messages, logos, or other permitted details. What you need to provide? Give us a call or email your graphics, product dimensions, lamination and other requirements and we can proceed from then. Whatever your quantity is, we can deliver free of cost within less than 8 working days. 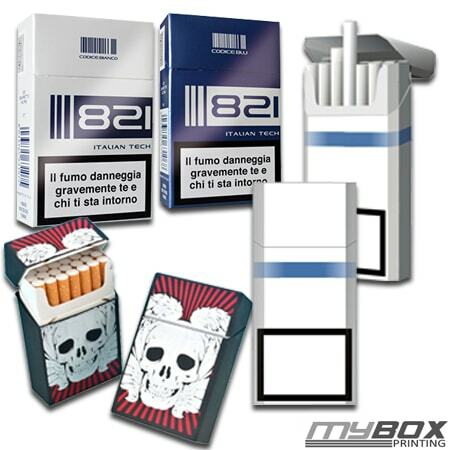 This supplier provided us custom printed high quality cardboard boxes for cigarette packaging. We received them in flat packaging and matt lamination was good. We also ordered Spot UV and some embossing. Artwork design department was helpful.